Hi everyone! I’m Cara from caraquilts and I wanted to share with you an idea for all those wonderful mini charm packs or petites fours from the Moda Bake Shop Sampler. 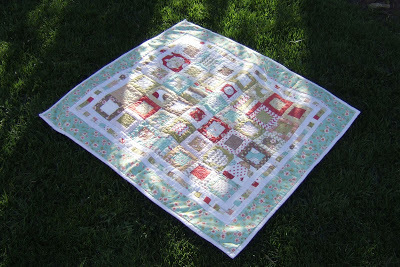 This project is quick and doesn’t take a huge investment, and with the pieced border looks way more difficult than it is.Which makes it great to make with the fabrics that are maybe out of your normal range or your favorites. Please read all the directions first. Cut from each of 40 charm squares (4) 1.25 strips. 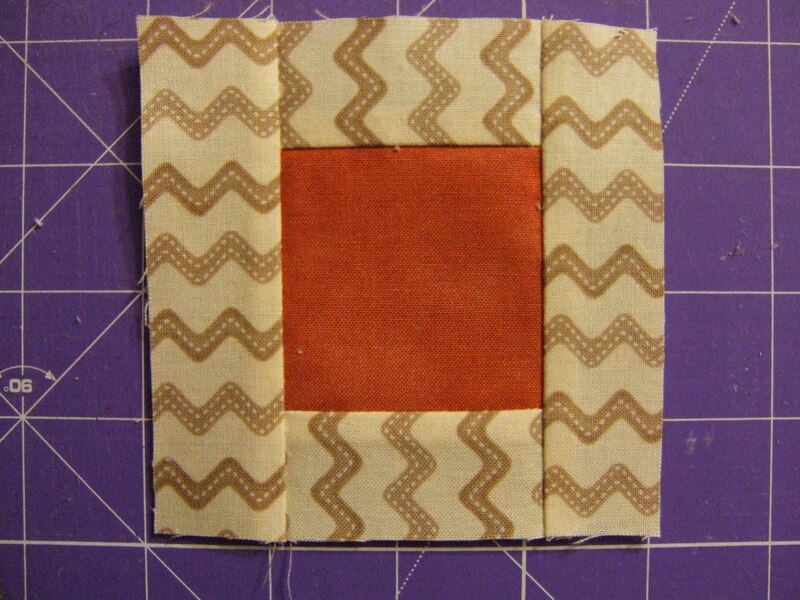 -Set aside the remaining 1.25*5” strip for the pieced inner border. Separate the pieces into a light and dark pile. It doesn’t matter if the charms are really dark or light, this will just help you keep from having blocks that you can’t tell the difference in the fabrics. Sew one 1.25*2.5 strips to either side of the mini charm making. Press away from the center. Add the 1.25*4” strips and press away. 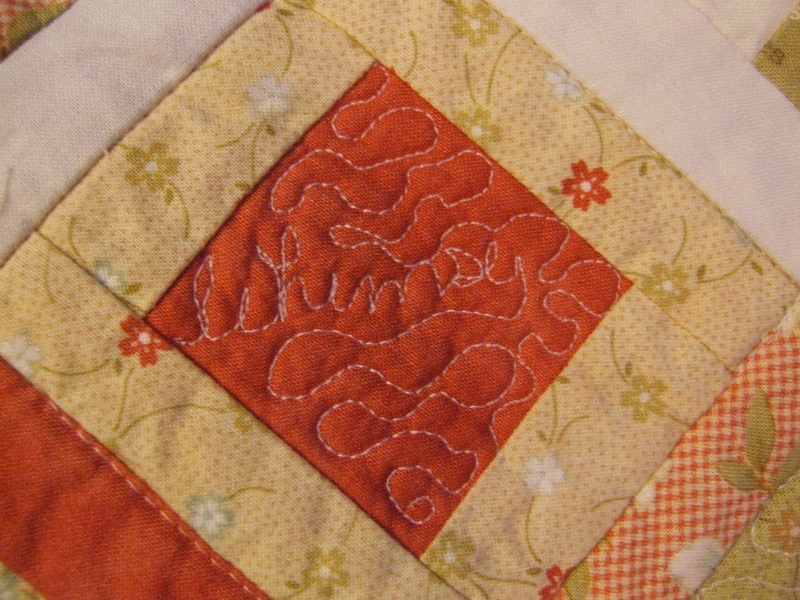 Repeat with the remaining mini charm pieces until you have all 40 sewn and measuring 4″ square. Because the mini packs only have 40 squares you will need to make up two blocks somehow. I sewed together 5 of the extra strips and pressed well. I then trimmed to 4”. This left me with 4 strips .75” finished and one just a scrap showing. You could also cut down two of your favorite charms from the charm pack which has 42 squares. Which ever you prefer. Arrange the blocks into a pleasing layout. Mine is 7×6. Sew together rows and then sew the rows together. Measure your top so far. It should be roughly 22”*26”. Cut your inner borders 1.25” by Width of Fabric (WOF). Sub cut to fit the short side of your top. Sew and press away. Measure and sub cut your long side border. Sew on and press away from the center. For the pieced inner border take the set aside 1.25*5 strips and sew them into two long strips, sewing along the 5” sides. 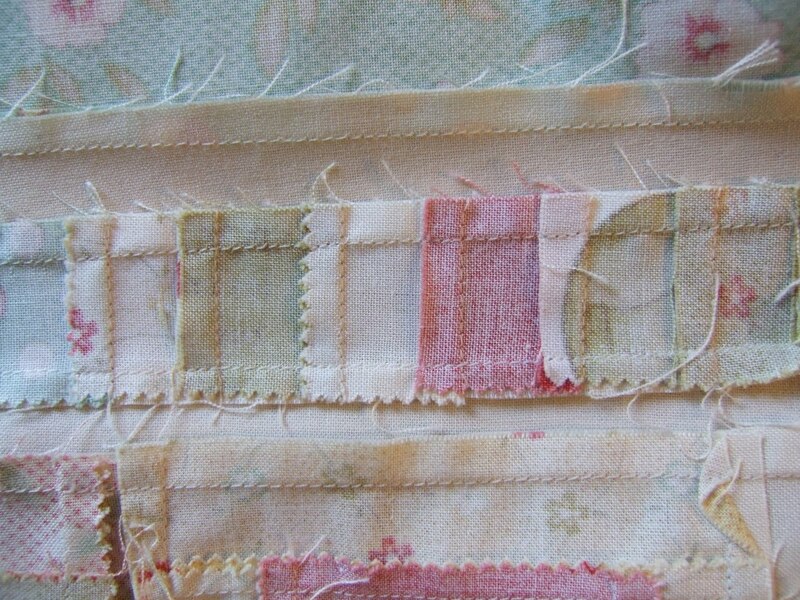 Sew pairs together, and then sew the pairs together, and so on until you have two long strips. Take care to sew them as accurately as possible; there isn’t any real wiggle room to clean up the edges. Press well, all in one direction. Now you are going to cut the 5” wide long strips into 1.25” strips. 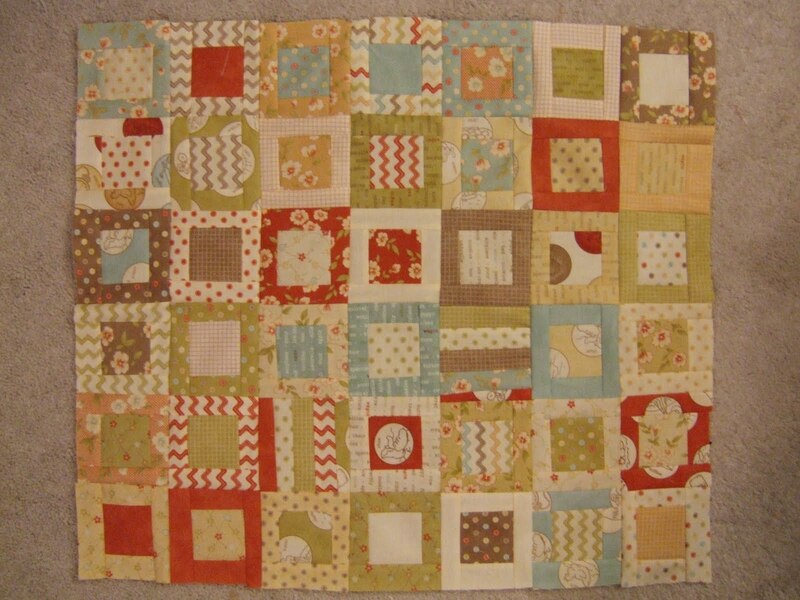 This is the pieced border that looks so small but you never handled any of those tiny pieces. As before measure and sew on your borders. You will cut off a couple of the end pieces on both the short and long sides. Sew on and press so that pieced border is flat. Press toward the cream border. Again measure and cut 1.25”*WOF for the next border. Attach as before, press away from the pieced border. At this point your quilt is about 29”*26”. Now the basting, quilting and binding! And you’re done! 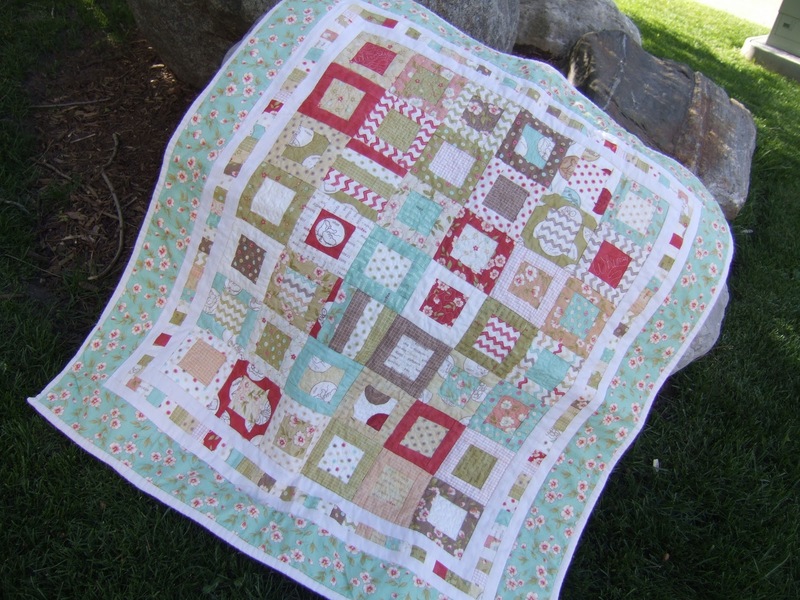 One 36″x33″ quilt which would be great for a new born, or as a wall hanging or table topper! When beautiful fabrics are displayed it really can be anything! 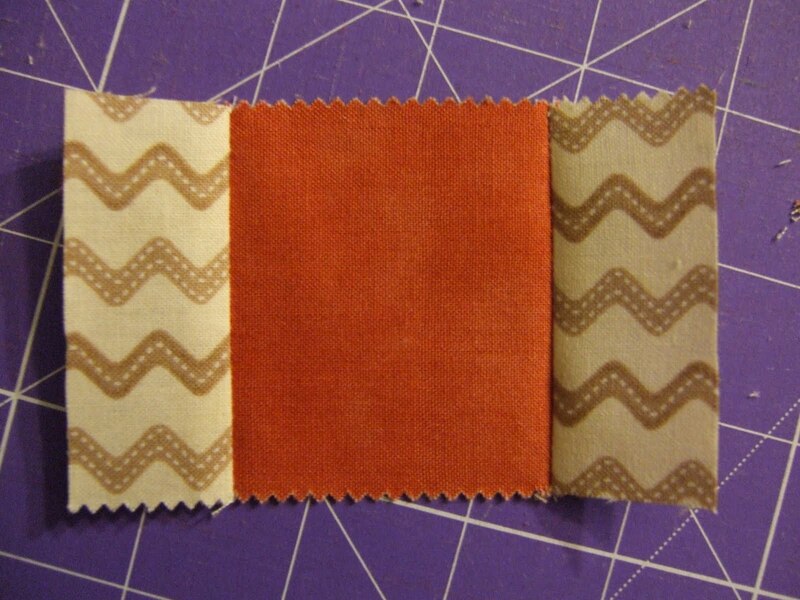 Check out my blog for directions on making the same pattern with a jelly roll and charm pack for a twin size quilt! 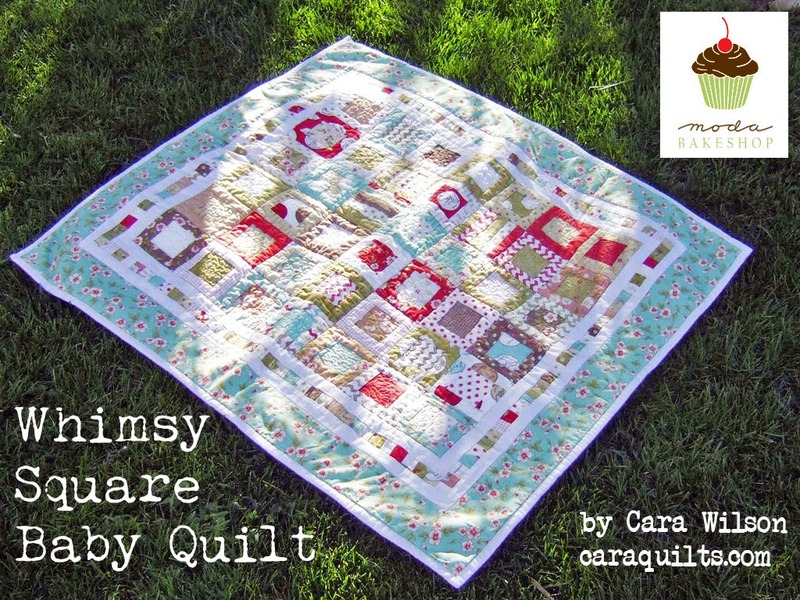 This entry was posted in Baby and Kids, Charm Pack, Easy, Moda Candy/Mini Charms/Petit Fours, Quilt and tagged Fig Tree and Co., Whimsy.